Straight out of my collection of supercabs! 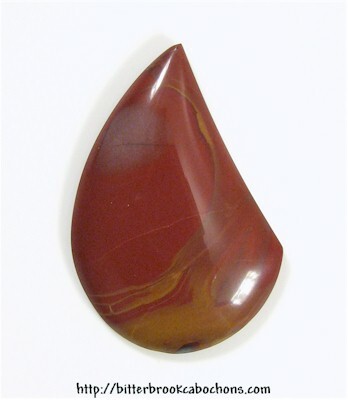 This little Noreena Jasper cabochon has yellowish wisps at the bottom. They fade in & out depending on the ambient light. Cute little cab! 27mm x 18mm x 4mm. Weight: 13.60 carats.